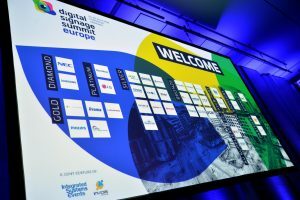 The Digital Signage Summit Europe 2018 provided invaluable takeaways into the evolving digital signage and digital out of home (DooH) industries during the comprehensive two-day conference. 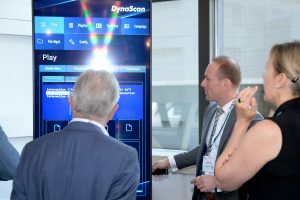 Attendees gathered at the new venue for 2018, the Sheraton Hotel, Frankfurt Airport, Germany, on 4th – 5th July to benefit from over 40 leading digital signage and DooH individuals exploring market trends and identifying growth areas. DSS Europe delivered a twin-track of keynote conferences, as well as exciting panel discussions, presentations, and new ‘hands-on’ workshops. Close to 500 registrants participated in the conference and co-located expo, which featured renowned companies such as NEC, Samsung, LG Electronics, Philips Professional Display Solutions, Elo Touch, Sharp, BenQ and Epson. 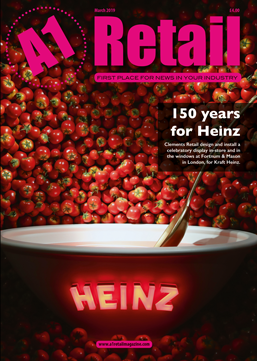 With a host of new, innovative solutions on display, delegates were able to combine new ideas and technologies to form future business plans and capitalise on this ever-expanding market. The conference deconstructed how digital storytelling combined with technology can add value for customers and help brands to maintain a narrative in the online and offline worlds. With e-tailers becoming more influential, traditional retailers are looking at ways in which physical stores can become experiential destinations to drive further in-store purchases. The programme of talks, and case study presentations provided attendees with the opportunity to learn from market experts. Customers now expect more than just a wow factor from technology, with digital signage, LED, OLED, electronic shelf labels, AR and VR just some of the many technologies that are available to retailers to make use of within a retail store. 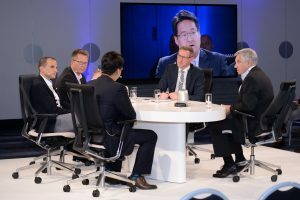 The panel discussion ‘Rebooting Experiences – The Future of Consumer Connection’ saw experts sharing their knowledge on the consumer experience, and how this is dominating the retail and advertising sectors today and into the future. Panellists included Alastair Kean, Development Director at Dalziel & Pow, Florian Rotberg and Richard Offermann, Managing Director of Ströer Digital Group. Similarly, Raphael Gielgen, Head Research and Trend Scouting at Vitra discussed how innovative technology is impacting how we learn, to how we work and where we live. Attendees to this talk learnt how digital signage can create a new driver for the economy by breaking out of the ordinary workday environment. “Attendees at DSS 2018 gained a thorough insight and understanding of how digital signage can be integrated into a number of market sectors. Tomorrow’s most successful companies are driven by curiosity and creativity, so retailers need to be aware of the challenges, the solutions, and how to take advantage of this today,” concluded Rotberg. A key highlight of DSS Europe included the annual Invidis awards, which took place on the evening of the first day of the conference. The winners of each category were as follows: – Displays (DACH): Samsung Electronics, Software (DACH): mdt Medientechnik, Mediaplayer (DACH): Giada (CONCEPT International), Integrators (Germany): xplace, Integrators (Austria): feratel media technologies, Integrators (Switzerland): JLS Digital. The two-day event concluded with a personalised, behind the scenes tour of Frankfurt Airport. Attendees were able to take in the digital signage and DooH solutions on site, and understand how the systems work within one of Europe’s busiest airports. DSS Europe 2018 is a joint venture between Integrated Systems Events, the producer of the Integrated Systems Europe exhibition, and invidis, a Munich-based digital signage consultancy. 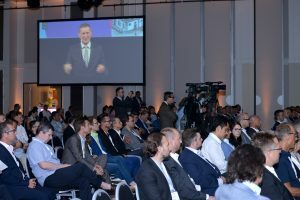 DSS Europe 2018 was the 13th edition of the hugely successful event. 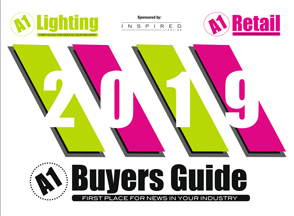 The next Digital Signage Summit takes place during ISE on 6th February 2019 at RAI, Amsterdam.